Among our concerns: emergency management might be severely under – supported due to ignorance, incompetence or institutional jealousy. We were prescient: Who could forget the attempts to substitute “prevention” for “mitigation”, or the determined efforts to “zero out” what we now call the Emergency Management Performance Grants? Or the bungling attempts to transfer the responsibility for the federal government’s failure to collaborate internally, that led to the 9/11 tragedy, to local and state officials’ “lack of preparedness”? Who can ever forget many (not all) post – 9/11 federal contractors’ stunning ignorance of the prerogatives of states under the US Constitution, a knowledge gap found also in the upper ranks of the entire Administration! 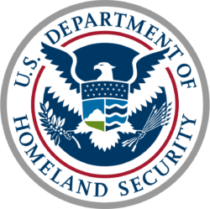 The International Association of Emergency Managers (IAEM) forcefully contended that at minimum, FEMA should be separate from DHS. The National Emergency Management Association (NEMA) membership felt similarly, ultimately concluding it was not the role of states to tell the federal government how to organize itself. NEMA chose instead to try to work with their federal counterparts to smooth out DHS’s numerous rough edges and use that cooperative relationship to defend the emergency management profession against the ignorance and inexperience of the original DHS leaders and the highly politicized initiatives they pursued. Over time, most of those rough edges of the original federal homeland security initiative were indeed smoothed out. Still, many of us continued to worry that in the wrong hands, DHS, despite its many dedicated public servants, could become rigid, arbitrary, and subservient to the whims of a future Administration tilting toward authoritarian behavior. In the “wrong hands” unexplainable and unjustified actions taken by agencies under DHS thus could go unchecked, with only the lamest of explanations proffered. “Crises” could be fabricated for political purposes, with severe long-term consequences for our nation’s values, not to mention for our actual national security. In a recent letter to the Seattle Times (published Dec. 30, 2018) I expressed my belief that DHS’s actions at the border today virtually assure that while the current “crisis” may be a creature of perverted political motives, in the not – too – distant future a real crisis borne of today’s policies may erupt. And that could deliver a reckoning that constitutes a real crisis once those children, grown up, learn what has been done to them. If that alarm bell rings, public safety professionals will be caught in the middle. It takes far less time for the “wrong hands” to make a mess than it takes for the “right hands” to clean the mess up. Even with DHS in the “right hands” hopefully soon, some bells can’t be un-rung. Even concerted mopping will not easily make things right.